Schedule your event today. Call us at 949-212-4920. 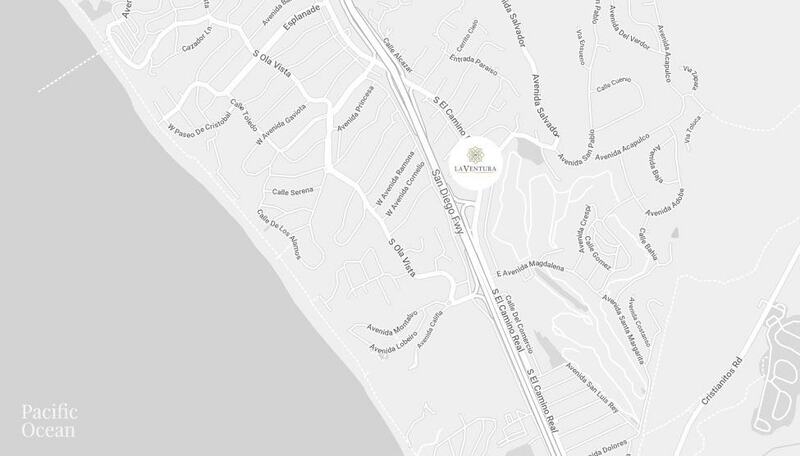 La Ventura is an exclusive venue in the heart of beautiful San Clemente, CA. It is unique and charming with its romantic Spanish-Colonial Revival architecture. As you enter through the beautifully landscaped corridor with Spanish Red Clay tile, into the open-air private courtyard with exposed wooden beams, you will be transported into an intimate, timeless space, perfect for any event or special occasion. La Ventura is exactly where you want to be! Less than half a mile to picturesque photo opportunities. Every event is unique and our skilled team of event professionals will work with you to customize and execute your vision. For clients needing a ceremony space, the ceremonies are held in the beautifully appointed courtyard. The events and receptions are held indoors in the Grand Parlour. There is a exclusive bridal suite for the Bride and her guests & a lounge for the Groom & his groomsmen. This event venue is conveniently located in the quaint city of San Clemente and is beautiful, luxurious, and timeless. There are truly too many details to describe the magical quality of this event space. You have to see it for yourself! Take a look at our photo galleries and tour around our private event space. Immerse yourself in the beauty of San Clemente. Exclusive catering with uncompromising attention to detail is what makes an event not only good, but truly memorable. From elegant weddings to luxury events, La Ventura event center has everything you need to have a perfect event. Top San Clemente wedding Venue. Best event venue in San Clemente. Dana Point, Laguna Beach, San Juan Capistrano, wedding venue. Top Rated Wedding venue. South County event space. Perfect event space in san clemente, california. best california wedding venue. Laguna Niguel, event venue space. Venue for rent. Best wedding venue in orange county. Wedding venue for 150 people. Event space in south county for 150 guests. Most beautiful event venue in south county orange county. Gorgeous event space in southern california. Wedding wire top venue.